If I wanted a photo of a stink bug, I could get them in spades this year. They are everywhere, including the stomachs of trout. Now we just need to come up with a viable imitation. Do you wonder where they are coming from? I do. Up until the last few years, I don't remember seeing more than a few in an entire year, now the things are everywhere. Our mailbox is full of them everyday, thankfully they don't eat paper. 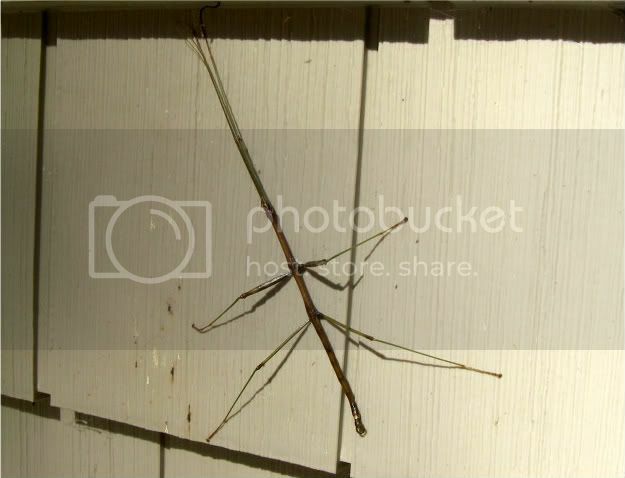 Here's an unusual big, the stick bug, as it rested on the side of our house the other day. Pretty cool, but it doesn't look like something trout would be able to eat, although I imagine if one were blown onto the water near a feeding lie, it would elitcit a splashy rise. As you can see, my photos don't compare to J.B.'s.......I'd love to see how he would frame this one. And here's another fine photo I took of another visitor to our home. 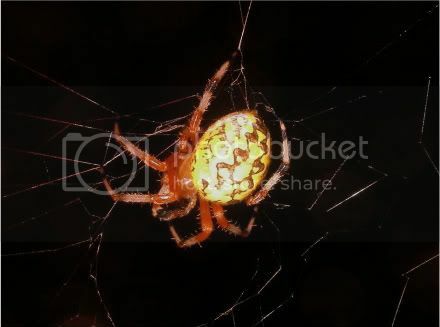 This is one serious spider. About an inch from jaws to the end of its abdomen!! And how about that pattern on its back, nature's paint brush at its best. The guys who are fishing, are taking fish on small BWO emergers, midges and caddis on the surface. If you want to take one of the big breeders they stocked this week, your best bet is a woolley bugger. The stink bugs are another import from our good friends in far east. I know an exterminator that can kill them. As for an imitation for the rivers, just use label of a UPS box and spray some cat pee on it.